Situated just west of downtown, Roncesvalles Village is attracting many young families because of its great shops, restaurants, and its proximity to High Park. 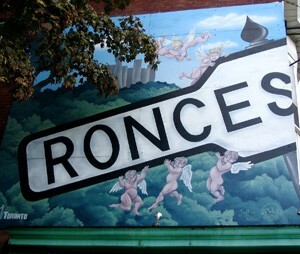 Once the Mecca of Toronto's Polish community, today's Roncesvalles still offers traditional European ambiance, as well as the Roncesvalles Polish Festival,which takes place annually in September, attracting thousands of visitors. The residential houses in Roncesvalles Village were mostly built in the early 1900s and tend to be brick homes which feature both Victorian and Edwardian architecture. As well, several of the buildings along Sorauren have been converted into loft-style condominiums adding to the ecclectic mix of the neighbourhood.